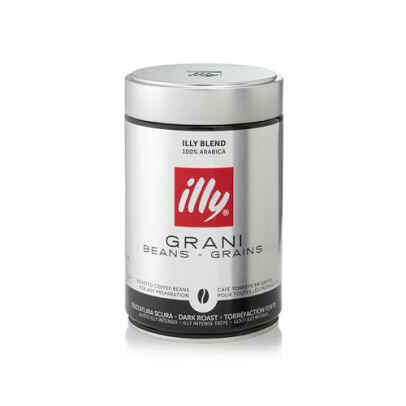 Illy Espresso Dark is an exclusive espresso mixture of whole beans. Toasting is dark, which provides a strong espresso with a distinctive flavour and delicious crema. The taste is a nice mix of sweetness and acidity. It contains flavours like fruits and flowers mixed with chocolate, caramel and honey. 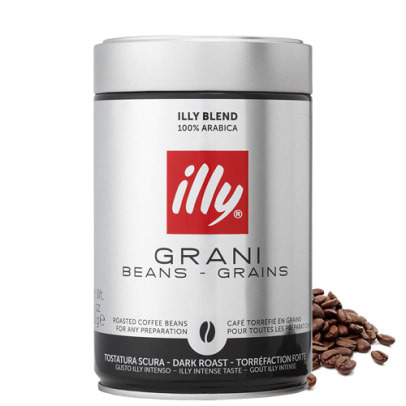 The dark roasting, make this version a little more bitter than that between roasted espresso from the illy. Recommendations: Suitable for brewing espresso, mocha, filter coffee and plunger coffee, depending on the grinding. We recommend using 7g. ground coffee per cup. Kraftig og harmonisk espresso. Svakt sjokoladepreg. Litt snerp i smaken, ellers helt topp. 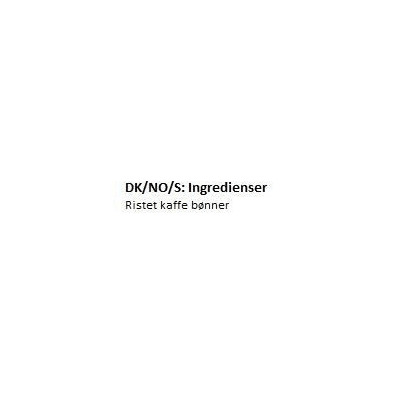 goda bönor som ger en kraftfull smak, passar med mjölk.